Comments: My first portrait of Ryno was a 1987 Donruss card graded PSA 9 picked up in December, 2002 followed by a 1985 Donruss picked up in March, 2004. 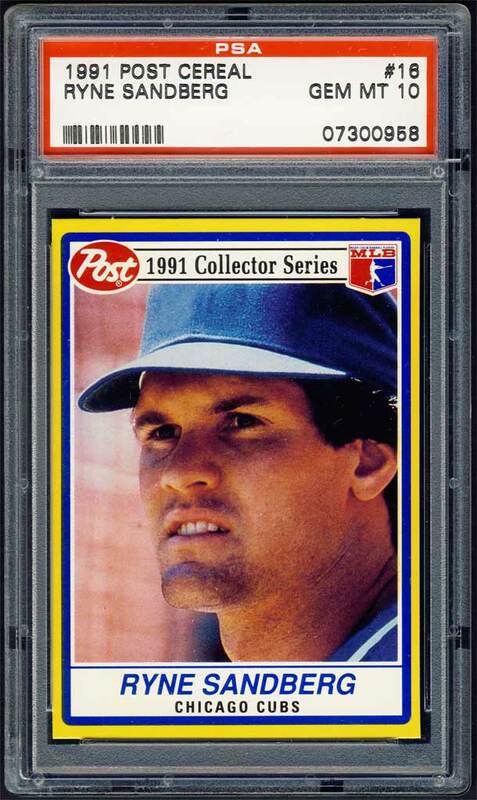 I upgraded the 1987 Donruss to a PSA 10 with an eBay win in January, 2005. 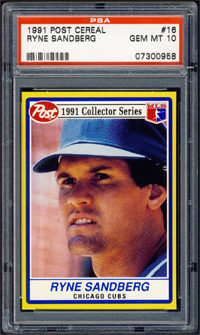 In November, 2007 I replaced the cards with a 1991 Post Cereal PSA 8. 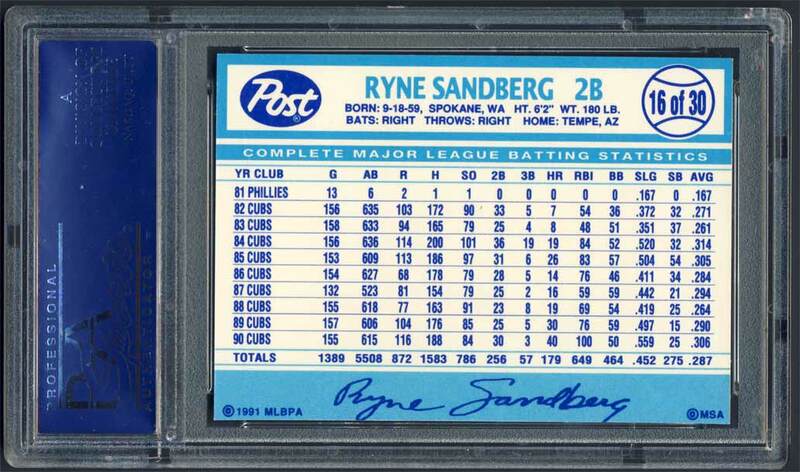 It was later upgraded to this PSA 10 with another eBay win in January, 2008 from seller Sherry Harvey/psa-sports-collectibles. Description: These superstar trading cards were inserted in Post Honeycomb, Super Golden Crisp, Cocoa Pebbles, Fruity Pepples, Alpha-Bits, and Marshmallow Alpha-Bits children's cereals. 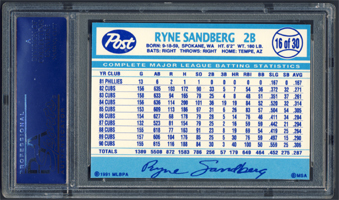 The complete set features 30 cards of baseball's players. 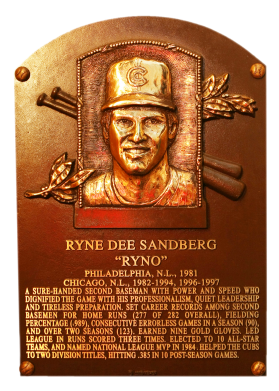 The cards were produced by Mike Schechter Associates, Inc. and are authorized by The Major League Baseball Player's Association. Tre card fronts feature a player photo, the Post logo and the MLBPA logo. The flip sides feature statistics and a facsimile autograph.